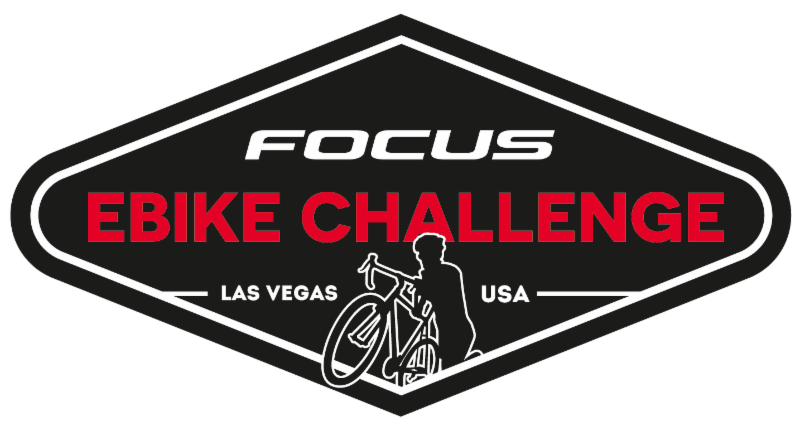 E-Bikes will make their debut at the inaugural Focus Bicycles E-Bike Challenge at CrossVegas this September 20th! Technically, this is the second e-bike challenge—the first being the World Championships in Zolder. The event is open to men and women and is BYOEB (Bring Your Own E-Bike). However, 15 participants will get a chance to blaze the soul-sucking grass surface of the Desert Breeze Soccer Complex on Focus e-bikes. Check out the full press release below for details. 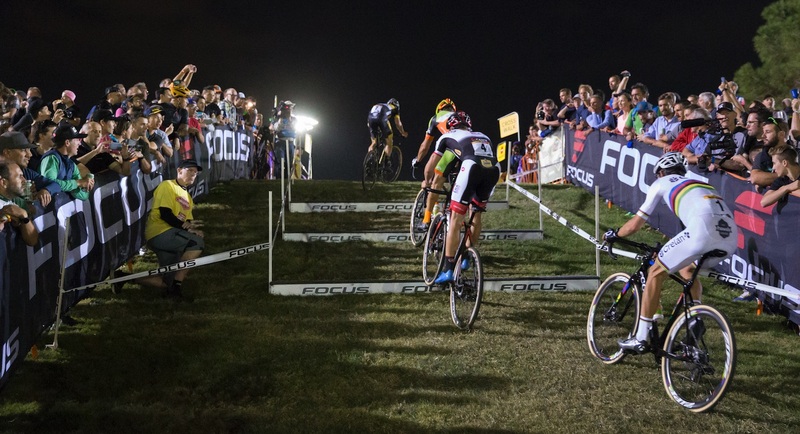 LONGMONT, Colo. – August 1, 2017 – CrossVegas and Focus Bicycles USA today announced that the annual cyclocross event will host the Focus E-Bike Challenge, a new e-bike fun race to be held on the famed CrossVegas course this Sept. 20. The event is open to men and women riding any style of e-bike. It is a “bring your own bike” event; however, 15 lucky entrants will ride a Focus e-whip for the race. Focus E-Bike Challenge participants will ride three laps of the full course, including the Sand Dune, the flyovers, the barriers, and the Focus stairs. 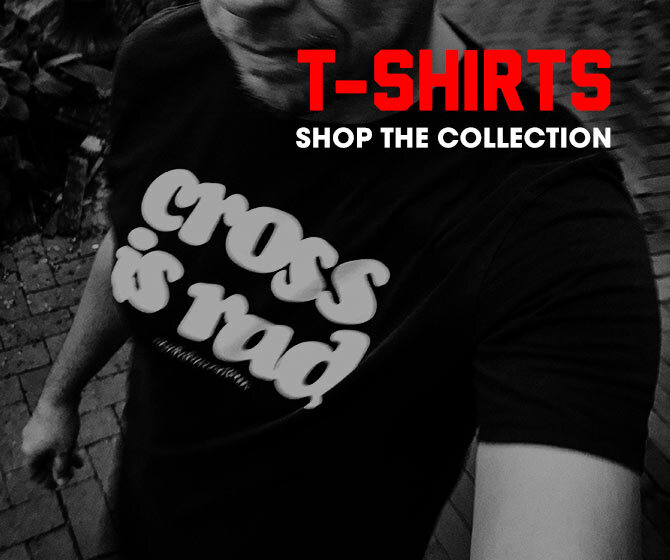 Former cyclocross World Champion and Focus brand founder Mike Kluge is the official Ride Leader. Men and women will toe the line together, but compete separately, with the top three of each earning a coveted CrossVegas cowbell and prizes from Focus. In addition to the E-Bike Challenge, the CrossVegas venue will include an e-bike demo course featuring the Focus Bold2 and Jam2 e-mountain bikes. Spectators at the race can test bikes throughout the afternoon and evening. Scheduled Wednesday, Sept. 20 at the Desert Breeze Soccer Complex in Las Vegas, CrossVegas is the biggest cyclocross race in America, attracting more than 12,000 spectators and racers. This year’s event is the eleventh consecutive edition. The Focus E-Bike Challenge is open to male and female USA-licensed riders. Foreign riders may purchase a 1-day USAC license to join the fun. For more information about CrossVegas and the Focus E-Bike Challenge, including complete registration details, go to www.crossvegas.com, and for more information about Focus, go to www.focus-bikes.com.